Reposted (with permission) from the blog of Dr. Angela Little. The below the inaugural episode of the new podcast series "Piecing Together" by Angie Little. Dr. Angela Little is a researcher and independent consultant in college physics education. Her research focuses on students’ experiences with their first year of college physics. She is a co-founder of The Access Network, a national network of equity programs in college STEM. She serves on the APS Committee on Minorities and formerly served on the APS Forum on Education. She resides in Chicago, IL. Research group spaces play a key role in academia for getting feedback on work-in-progress. Getting feedback can sometimes be a scary or frustrating thing to do, depending on the culture and practices of a particular group. In this audio piece, I talk to graduate students and the lead faculty member of a math education research group at UC Berkeley. We discuss aspects of how they try to create a constructive and supportive culture for feedback. I hope this piece is a helpful conversation-starter. Follow "Piecing Together" on Twitter and Soundcloud. Learn more about this project on Dr. Little's blog. 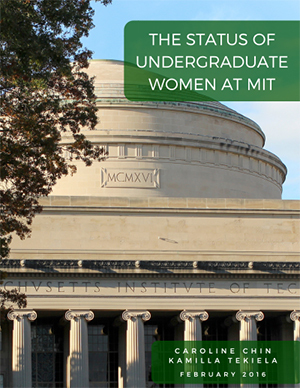 Four weeks ago, MIT released a report detailing the experience and success of its undergraduate women. Written by two undergraduates, with the support of the MIT Office of Institutional Research, the report assesses differences in experience and outcomes regarding academics, leadership, climate, and confidence. Caroline Chin and Kamilla Tekiela have done an outstanding job in summarizing the experience of many women entering the STEM fields. In short, they find that women are on average as successful or more successful than their male classmates, but they are less confident and do not feel as strongly supported by others. The report was motivated by the students' observations of gender difference in experience and attitudes. To see if this was perception or reality, they conducted a survey of undergraduates and followed it up with focus groups. They accessed climate data from an MIT survey that had a higher response rate but provided less detail. They analyzed overall GPA and graduation rate data. The data were sufficient to show some differences in by race/ethnicity. The authors did not explore the dimensions of sexual orientation or gender identity and expression. The report is for undergraduates what the 1999 report, A Study on the Status of Women Faculty in Science at MIT (the Hopkins Report) was for faculty. Similarly to Nancy Hopkins in the 1990s, Chin and Tekiela found that undergraduate women in STEM at MIT do at least as well as men, on average. For example, they have statistically higher GPAs in the same majors, they graduate at higher rates, and they are equally likely to be author on a publication or to receive an award. However, they experience microaggressions based on gender unlike their male counterparts. The report begins with a quote from a computer science undergraduate who overheard two male students in the elevator putting down women in the lab -- indeed, putting her down. After capturing the reader's attention, the authors proceed in a thorough analysis of data. I believe that any fair-minded reader will conclude that women are not treated equally to men in this group, and indeed that the differential experience is similar to what happens in other settings, including high school, graduate school, and beyond. The report shows a smoking gun for the erosion of confidence among young women in STEM. On average, despite their superior accomplishments, women are not given encouragement consistent with their promise. Of course, there is a broad spectrum of experiences and abilities, so this conclusion does not apply to every individual. But when we look at persistence of women in STEM, it is eroded by the burden of having to justify one's gender, race, sexual orientation, ability, or other characteristics, when those are questioned as being different. In some fields like Physics, women who earn a bachelor's degree are at least as likely to continue in academia than men. This does not mean that women in physics experience a better climate; instead, the climate and culture are such that the loss of talent occurs before college, and that those who remain are more persistent. The report does not analyze this situation, and it would be great to see a report that does. But in other fields like the life sciences or computer science, there is a narrowing of the pipeline starting from college entry. The report helps explain how it happens. Chin and Tekiela offer some excellent suggestions for MIT, and by extension other universities, to improve the retention and build the confidence of women in STEM. The first recommendation is to improve academic advising. Faculty advisors can play an important role in supporting and mentoring their advisees, yet the typical experience is limited to once/term meetings to discuss course registration. Students wish to have stronger relationships with faculty, and this would be of particular benefit to those whose confidence does not match their capability. It will not be easy to shift the culture of academic advising to become more of a mentoring role, but I believe this is essential for improving the success of all students. The report makes many other recommendations, many of which (such as unconscious bias education, enhanced climate survey questions, and faculty recruitment efforts) are being made by other groups. At MIT as elsewhere around the US, students of color (and other groups, including LGBTQ) have made a variety of recommendations to improve the experience and success of all community members. The Status of Undergraduate Women at MIT is a compelling and inspiring read. I highly recommend it to all readers of this blog. Below is our interview with Harold C. Connolly Jr, a geologist turned planetary scientist. He describes his career as a professor and mission scientist for OSIRIS-REx. If you have questions, suggestions, advice to share, etc. about this career path, please leave a comment below. Today's guest blogger is Terri Brandt. Terri is a high energy astrophysicist working at NASA's Goddard Space Flight Center. Studying cosmic rays and gamma-rays has taken her from Ohio to France to the ends of the Earth (Antarctica!). She helps organize diversity events at Goddard and has filled spare time with, among other things, ultimate frisbee, including cofounding one of The Ohio State teams. Those times you need an ear, or a shoulder. are as necessary as air. People in underrepresented groups, facing higher frequencies of injustice, often need these spaces more often or more profoundly than members of majority groups. Be it outright *ism or the accumulation of microaggressions, having such spaces can help underrepresented groups’ members remember why they began this journey, can help them renew their commitment to it or to celebrate the beginning of a new journey. To do this, these spaces must necessarily be safe, as defined by the people needing them. For people of color, this may mean spaces where there are no “white” people. For women, this may mean spaces with no people identifying as male. Exclusion from a safe space is typically not a reflection on a given person. Rather, it is a reflection of the systemic over- and undervaluing of individuals based on things other than their actual performance in equitable assessments. These safe spaces allow discussion, healing, and renewal. This “inreach” to members of underrepresented groups can be absolutely critical to the success of members of these groups. At the same time, we also need outreach. We need spaces where people who genuinely want to be allies, who want to listen and learn and use their privilege (however small it may seem) for the good of others, to be able to interact with members of underrepresented groups who are ready to share their stories, who are ready to point potential allies to resources and engage with their respectful questions about points not yet fully grasped. Who can help enunciate the common needs of the underrepresented group. Who can help allies become advocates. These well educated advocates can create more allies and advocates, sharing the burden and creating an exponential growth of people who can partner with members of underrepresented groups to more rapidly and effectively change the system from within, to create a culture and a system that better enables everyone to realize their full potential. And when you are able and ready, please engage in outreach, whether in person or online. Help others to help you and other members of your group. To members of well represented groups, I invite you to listen, to use resources available to educate yourself. To reflect deeply and compassionately on the experiences of underrepresented group members, acknowledging that the act of sharing is a gift, no matter how painful the content. And when you are able and ready, please step up and act. Advocate! Whether online or in person, use the power of your privilege to raise up voices that systematically go unheard, to minimize bias, unconscious or otherwise, to create a more just world. For only in fully realizing all peoples’ potentials will we truly be doing the best science possible. The below post was originally written for the June 2015 Status: A Report on Women in Astronomy The article is reproduced here (with permission). Read the full article here. Dr. Ramin A. Skibba studied physics and philosophy at the University of Notre Dame, graduating in 2000 with a B.S. and B.A. He completed his master's degree and Ph.D. in Physics & Astronomy at the University of Pittsburgh, with Ravi Sheth as my advisor. Hi thesis was titled "Marked Statistics and the Environmental Dependence of Galaxy Formation". After that, he moved to the Max Planck Institute for Astronomy in Heidelberg, and continued working on large-scale structure and galaxy formation as a postdoctoral researcher with Frank van den Bosch. He also analyzed galaxy group and cluster catalogs (both observed and modeled) and galaxy morphologies and structures. Then he moved to the University of Arizona, where he dabbled in infrared astronomy and analyzed the spectral energy distributions of nearby galaxies. In 2012, he moved to UC San Diego, where he is now an Assistant Project Scientist working with Alison Coil and the PRIMUS collaboration, studying the evolution of galaxy clustering and the halo-galaxy connection over the last eight billion years of cosmic time. Suppose that two astrophysicists with similar education, experience, and accomplishments—let’s call them Dr. X and Dr. Y—apply for a tenure-track faculty position. If Dr. X is female and Dr. Y is male, and if the selection committee members have conscious or unconscious gender bias, then, unfortunately, one might expect it to be more likely that Dr. Y would be offered the position. Being Transgender is still not as safe in our world as it should be. While we may be accepted in many ways, being out can still limit our options significantly, so this young grad student prefers anonymity. There have been some transgender astronomers that have come out publicly in recent years. While their experiences are important to talk about, they generally are senior astronomers who have transitioned well into their careers. Their experiences with transitioning in academia are going to be very different than that of an astronomer who transitions during or before graduate school. I'll be attending grad school soon, and I'm writing this about my own experience as someone transitioning in an astronomy department and my thoughts about going into grad school and my future in astronomy as a trans person. I'm sure that people who know me might recognize details of this story and realize that I'm the author. Many people in the department I'm in are aware of my transition as I had been there before I transitioned, but it's not something I really intend on telling people about once I head off to grad school. Regardless, I still think the perspective of someone transitioning before getting a PhD is something that people should know about. The experiences of transgender people are incredibly diverse and many people view their gender transitions a lot differently. I can only speak of my own experiences. For me personally, my transition is fundamentally a medical treatment I need to correct mistakes of my body at birth. There are lots of social aspects about that which cannot be decoupled from the medical part and are also just as equally important. I realized I needed to transition during my senior year of my undergrad. I started my medical transition at the start of my last semester and slowly socially transitioned a few months after starting the medical transition after coming out to friends to let them know what I was doing. About a year into my transition, I completed the legal process for changing both my name and gender. I've been living as a woman full-time for over a year now. While my transition is far for complete, all I have left to complete the transition is finish facial hair removal and get surgeries to make my facial structure feminine as well as other transgender surgery. I'm quite privileged compared to most trans people. Many trans people do not have access to trans-inclusive insurance and only a handful of states require insurance companies to cover transgender health care. Among those states, some only cover basic hormone treatments and either don't cover surgery or only cover a minimal or incomplete set of transgender surgery. The university that I went to as an undergrad has some doctors and nurses that specialize in trans health who I went to during my last semester to get my first hormone prescriptions. When I started working in the astronomy department full-time, most of the choices of health insurance cover my hormone prescription had have basic options for genital surgery and speech therapy, and I've been able to get all of those covered as needed. Most aspects of my transition so far have been made possible because there have been systems in place to help out people like me. However, there are some very important aspects of my transition such as facial feminizaiton surgery that are really only available for those who can afford for them completely out of pocket, despite being just as medically necessary for treating gender dysphoria as the treatment already covered. Right now, I've been accepted into grad school, although I have a lot of hesitation because the remaining parts of my transition are incredibly expensive. I entered a relationship with another trans woman recently right before she underwent facial feminization surgery (FFS), and she told me she paid about $47 thousand out of pocket for it, which she saved up from her previous engineering job. This is something that seems pretty much impossible to do in grad school without taking out a massive medical loan with high interest, but could possibly be done by going into industry for a while and then re-applying. While that procedure is often incredibly important for trans women, very few insurance companies actually cover it and according to word through the grapevine, some surgeons are not accepting insurance because the insurance companies aren't actually paying out. From what it seems, the only reliable way to actually get FFS is to either save up for it and pay for it or take out a loan and pay large monthly payments for a long time. This isn't to write off insurance companies. They are great for what they cover, but I have a lot of hesitation going to grad school if I can't get all of the medical treatment that I need, and that made applying a really tough decision. I haven't yet said anything about social aspects of transitioning. Virtually everyone I know has been accepting about it, and I'm really not worried about that wherever I go in the future. That part of transitioning has not been hard for me. While I don't really have any intention of telling people when I do eventually head off to grad school about me being trans, I'm not that worried about people figuring it out or finding out somehow. Regardless, I'm likely to delay going to grad school because of the financial implications of grad school and my transition. Trans people are a very underrepresented minority in science. As someone who's very junior in their career, I don't have solutions to what would make transitioning financially easier, but it would be great to hear from administrators on what can be done in cases when a trans person's medical needs go beyond what their insurance can provide. While endeavors for social inclusion of transgender people are very important and very much appreciated, I predict that if trans people cannot afford the more expensive aspects of their transitions in academia, they will go to industry jobs before or in place of grad school. From what I've looked into, there are insurance programs in the state of Massachusetts that cover very complete coverage of transgender treatment, including FFS. Many plans in California and a few other states cover most of everything, but unfortunately don't cover FFS. If insurance plans everywhere covered a complete set of treatment, that would be excellent and many trans people in America outside of academia would benefit from that. I'm really glad that there are resources available for trans people to fully transition, and I'm really appreciative of the privilege I have to be able to transition as I have so far. I wish the expenses of transition wouldn't have to keep me from pursuing academic science as I'd like, but unfortunately there's really not much that I can do about that. Fortunately, it seems like things are getting better for trans people and I'm hopeful for what the future has in store. 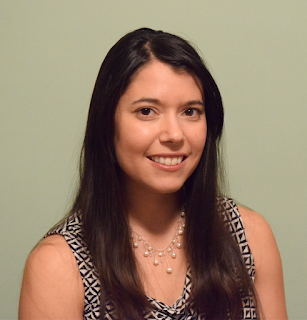 Dr. Lia Corrales is currently a postdoc at MIT Kavli Institute, and will be taking an Einstein Fellowship to University of Wisconsin-Madison in Fall 2016. She received her Ph.D from Columbia University, where she was a NASA Earth and Space Science Fellow, studying astrophysical dust with high energy light. She received her bachelor's degree in Physics from Harvey Mudd College and was born and raised in San Diego, CA. This interview is part of a series of posts on the Astronomy In Color blog dedicated to recognizing achievements by outstanding astronomers of color. Feel free to contact Jorge Moreno (jorgemoreno AT cpp.edu) if you know any other person of color in astronomy who has recently won an award or made any other accomplishment. This is a repost of Dr. Angela Zalucha's piece for the Women in Planetary Science Blog. Please see her original post here. About Dr. Angela Zalucha: Angela Zalucha received her PhD in atmospheric science from MIT in 2010. She now works at the SETI Institute modeling the dynamics of planetary atmospheres. She currently lives in Boulder, CO where she enjoys skiing and volunteering in the clinic at the Humane Society of Boulder Valley. I meant to write this article yesterday. That’s not a statement of procrastination. I suffer from depression, which was triggered a few years ago by events directly related to my career. The symptoms of depression are different from person to person. For me, I have to go lay in bed, in silence. Tasks like getting up to heat leftover pizza up in the microwave are insurmountable. So I wasn’t exactly up to the task of writing a blog article, even if it was about the condition I suffer from.